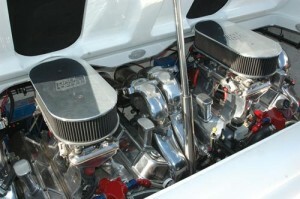 Over 50 years of building the best performance boats in the industry have culminated in this achievement. There’s probably never been a perfect boat, but the 335-T Closed Bow is very close. 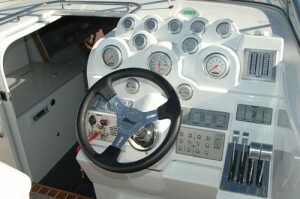 Think about expanding your boating opportunities with a weekend stay on-board. This cabin is made for overnighting. The 335-T is ready and able to accommodate a full range of engine options from the latest offerings from Mercury Marine to custom engine packages. Hallett is famous for their incredible upholstery, and for good reason. 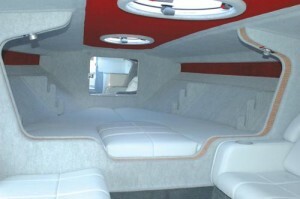 You won't find more luxury, custom styling or comfort in the boatng industry. 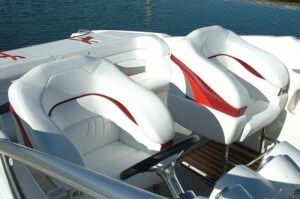 It has the look and feel of a true high performance boat. Hallett knows how to execute a driver-perfect instrumentation panel second to none.